Karen’s Killer Fixin’s **AUTHOR SPECIAL** with JENNIFER ZANE!! Welcome to my Friday bonus feature called Karen’s Killer Fixin’s **Author Special**!! Today, in lieu of one of my own recipes, I’m going to introduce you to a new author who will share one of her favorite recipes. Not only will you and I occasionally learn how to make something new and delicious, but we’ll get a chance to check out some wonderful authors. Introducing author, JENNIFER ZANE, and her favorite recipe for NO CLEAN-UP CARAMEL! A week in Alaska as boyfriend and girlfriend should be easy for them. They grew up together, even had a brief fling. What could go wrong? Watch for this Romantic Comedy by Jennifer Zane ~ January 16, 2014!!!! 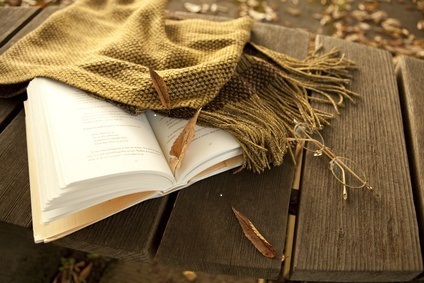 About the author, Jennifer Zane…. Join my mailing list on my web site (http://www.jenniferzane.com) and keep current with the latest book updates, events, book signings as well as special giveaways! Gnome On The Range won two RomCon Readers’ Crown awards- Best First Book and Best Contemporary! Join my mailing list! 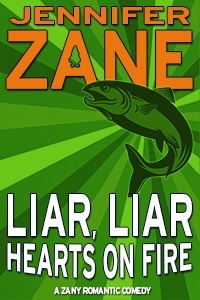 Want to get a sneak peek of Chapter 1 of Liar, Liar, Hearts On Fire? I hope you enjoy the recipe Jennifer is sharing with us today on Karen’s Killer Fixin’s. Happy eating! P.S. We’re at 121 recipes and counting with this posting. Hope you find some recipes you like. If this is your first visit, please check out past blogs for more Killer Fixin’s. In the right hand column menu, you can even look up past recipes by type. i.e. Desserts, Breads, Beef, Chicken, Soups, Author Specials, etc. Place unopened can(s) of sweetened condensed milk in your crock-pot and cover COMPLETELY with water. Set to low and leave for 8-9 hours. You can flip the cans halfway through, but not required. **SPECIAL ANNOUNCEMENT: Jennifer will give away an advanced e-reader copy of LIAR, LIAR, HEARTS ON FIRE to one of her lucky readers who comments on her Karen’s Killer Fixin’s blog!! Don’t miss this chance to read this funny novel!! Thanks, Jennifer, for sharing your upcoming release with us! This entry was posted in Karen's Killer Fixin's and tagged **AUTHOR SPECIAL**, Crock Pot & Casseroles, Desserts. Bookmark the permalink.